So begins El-P’s verse on ‘Jeopardy’, the opening track on Run The Jewels’ second album, Run The Jewels 2. El (real name Jaime Meline) is referring to his status as an underground artist, critically-acclaimed but largely unheard of by a mainstream audience. In the shadow of million-sellers like Jay-Z and Drake, El has soldiered on, making dark, moody beats and spitting aggressive, intelligent rhymes over them. He’s done and is doing his own thing, rather than trying to replicate what made others successful. So I expect you’re wondering what the hell this has to do with teaching. Or maybe you’re not, because to be honest the analogy isn’t exactly subtle. So here goes: edu-Twitter is full of motherships. Some of them are fantastic teachers and leaders who share a lot of what they do, because (I imagine) they want to help other people do a better job, therefore improving standards for children everywhere. It could be that they just do it for an ego rush, but you know what? It doesn’t really matter. But I’m not a mothership. I think I used to want to be. When I first joined as a callow PGCE student, back in the heady days of 2011, edu-Twitter was a very different place. Honestly, you’d just have these half a dozen or so people arguing about who was a prog and who was a trad, back and forth. Nothing like that nowadays. At that time, I looked at accounts with thousands of followers and thought, “I’d love that to be me – imagine being that important”. Two reasons have emerged in the ensuing years for me to be more than happy in my silly little corner of Twitter. Firstly, whenever there’s the slightest bit of confrontation or disagreement, I absolutely hate it. I once spent a day fuming because someone wilfully misinterpreted something I’d said about PE. Another time I spent an hour replying to a lengthy comment on a blog post I’d written about private schools, then deleted my reply and the comment. In the words of the Breeders, I just wanna get along. Secondly, it just isn’t in my nature to want to be a mothership. I’m not that kind of person. I like listening to the Minutemen, an American punk rock band who, let’s face it, you haven’t heard of. I like watching ‘90s wrestling on YouTube. I like reading books about Test cricket. I think there’s a place on Twitter for me, and my ideas (about teaching and otherwise). I also think there’s a lot of people who have their own unique, perhaps slightly esoteric, take on teaching. And I think that’s a good thing. Edu-Twitter needs more blips on the radar. The whole point of social media is meant to be that it levels the playing field, but of course it doesn’t. Both the algorithmic nature of Twitter and our own prejudices ensure that. But the fact is, it doesn’t matter if you’ve got 10,000 followers, or 10 – your voice is equally valid. 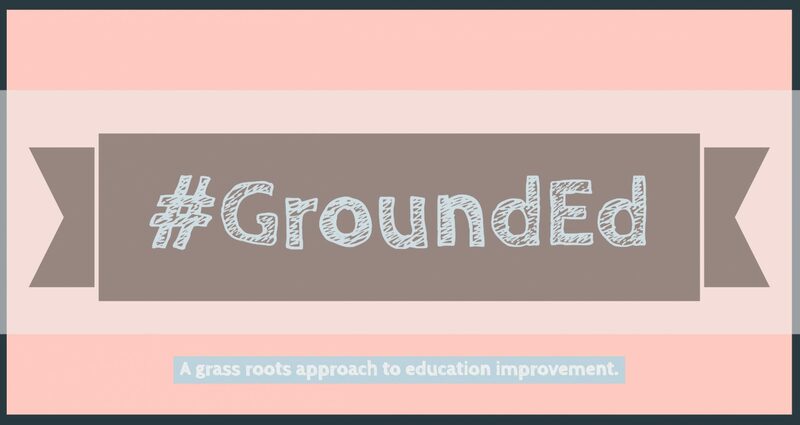 If #GroundEd is about anything, it’s about making sure people know that. So in conclusion, if you’re reading this and you view yourself as a little blip on the radar, know that your voice is valid. Know that what you have to say has worth. It might be right, it might be wrong, but it is worth saying and it is worth joining in the conversation. If you’re reading this and you know you’re a mothership, don’t worry – I’m definitely not talking about you in the third paragraph.